It's been a long week filled with two sick children and little to no sleep for this old mama. And, even though the kids missed some school this week, they're finally on the mend and have their appetites back. I'm grateful for the weekend and two days of rest. Since their appetites have returned, so have the familiar chants of "What are we going to eat?". 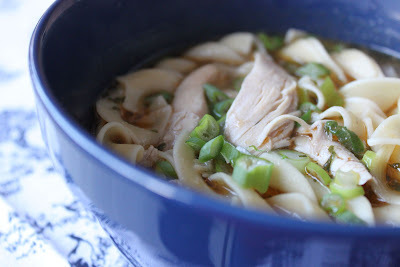 So I'm making a family favorite - chicken noodle soup - a definite cure for what ails you. It's simple, basic, and beautiful! 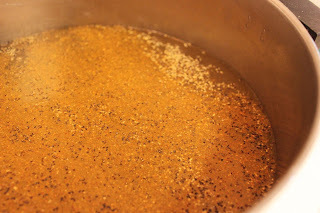 Fill a large stockpot about 2/3 of the way with cold water. Sprinkle in your seasonings of choice. 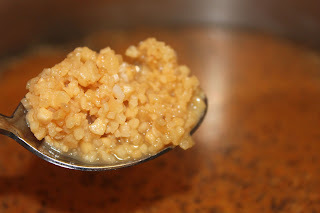 Drop in the bouillon cubes and the minced garlic. Bring to a boil. Add the chicken. Cover and cook until chicken is fully cooked. 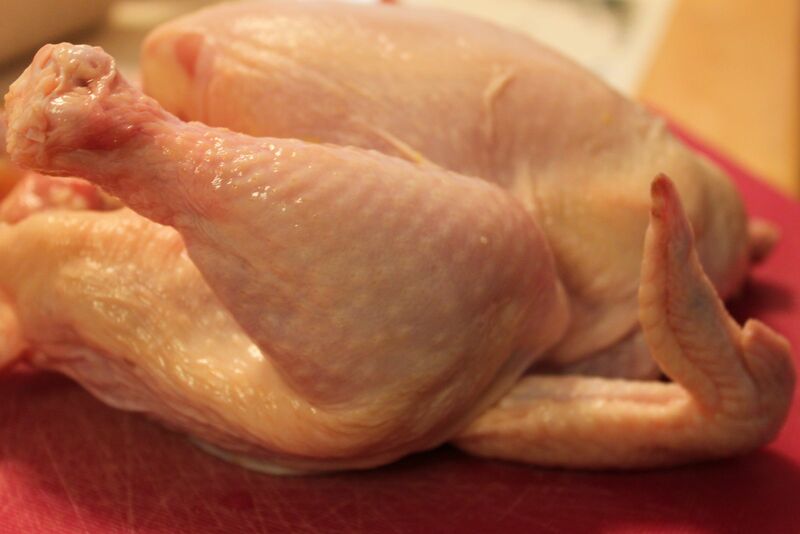 Cooking time will depend on what type of chicken you use. Once the chicken is done, allow to cool then remove chicken from the bones. 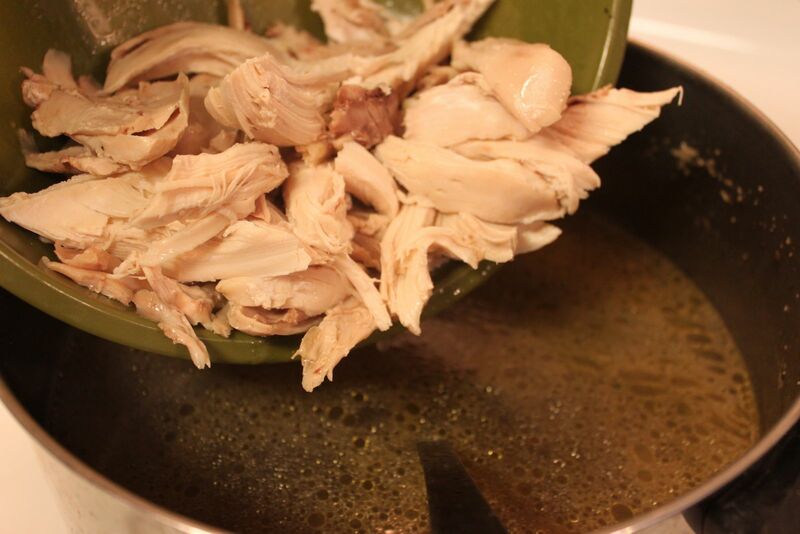 Before adding the chicken back to the stockpot, taste the broth to see if the seasonings need adjustments. 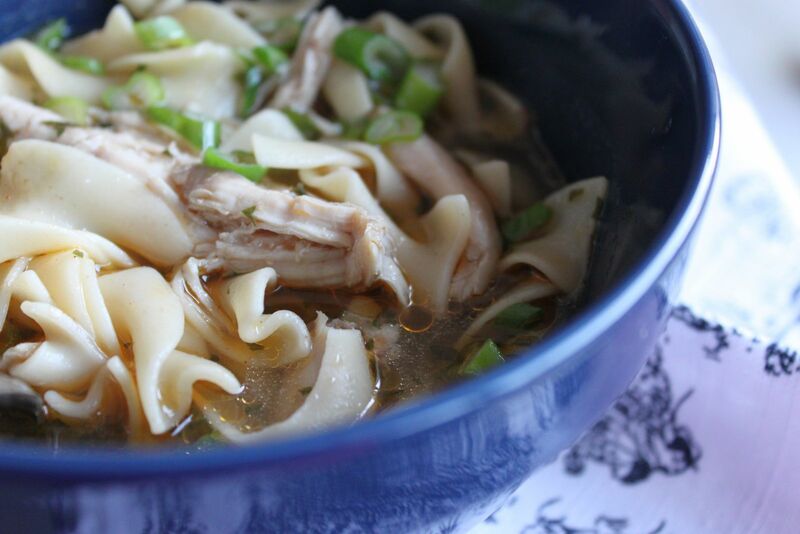 Return the chicken to the pot and bring the soup to a rapid boil. 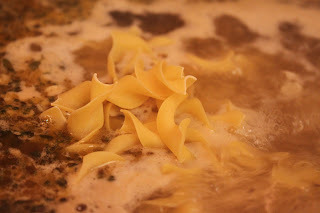 Add the noodles and cook until tender. 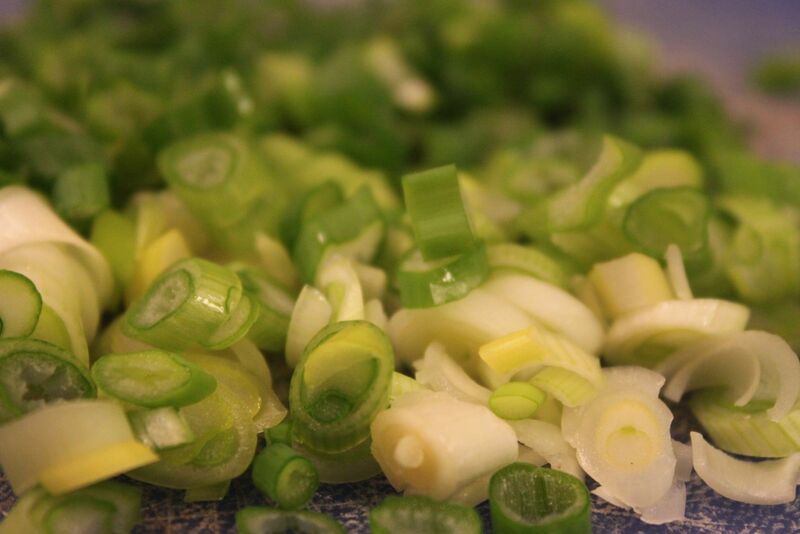 Sprinkle with green onions. I don't really measure my seasonings for this. I just sprinkle seasoning salt, garlic salt, and pepper over the top. 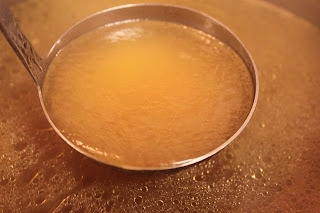 I always use chicken bouillon cubes, too, because they enrich the chicken flavor and add that golden color that I love so much! As much as I love fresh garlic, I do like to use jarred garlic in soups and stews that will simmer for a while. I save my fresh garlic for dishes that cook quickly and require a mild garlic taste. I always keep a jar of minced garlic in my refrigerator. It's one of those things that makes cooking easier. This was a small, whole chicken, perfect for soup. After the water came to a boil, we slid her in. 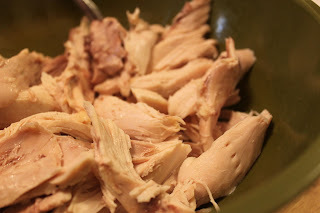 Since my husband seemed eager to assist me, I let him put the chicken into the boiling water. 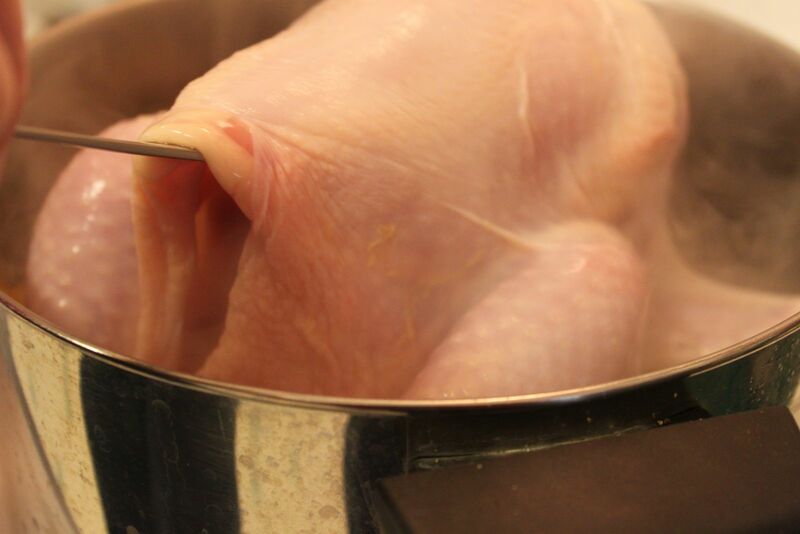 He has a method where he uses the handle of a large stainless steel spoon to lower the chicken into the water. Thank you, Eric! Now, go and slice some onions!! 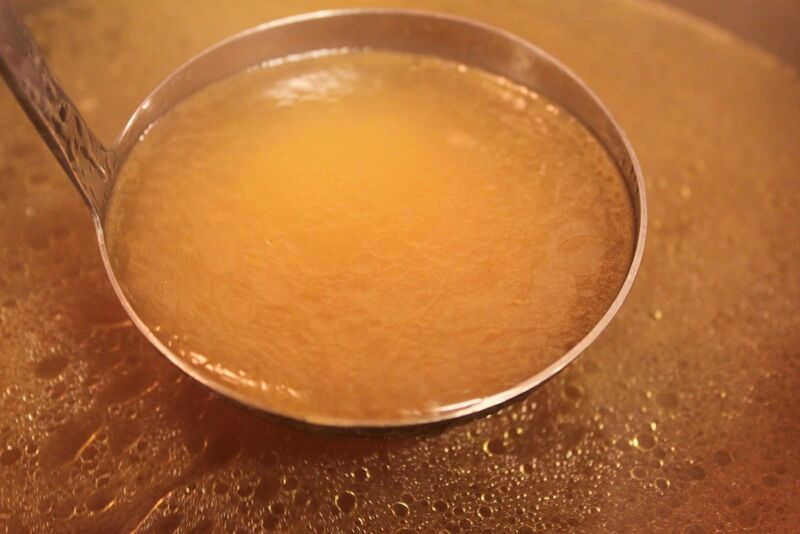 After the chicken is completely done, remove from the broth and allow to cool. This would be a good time to test the broth for seasoning. If it's too salty, pour a little of it out and add some fresh water. I just pull the chicken from the bones, no need to chop. This is a 12-oz. 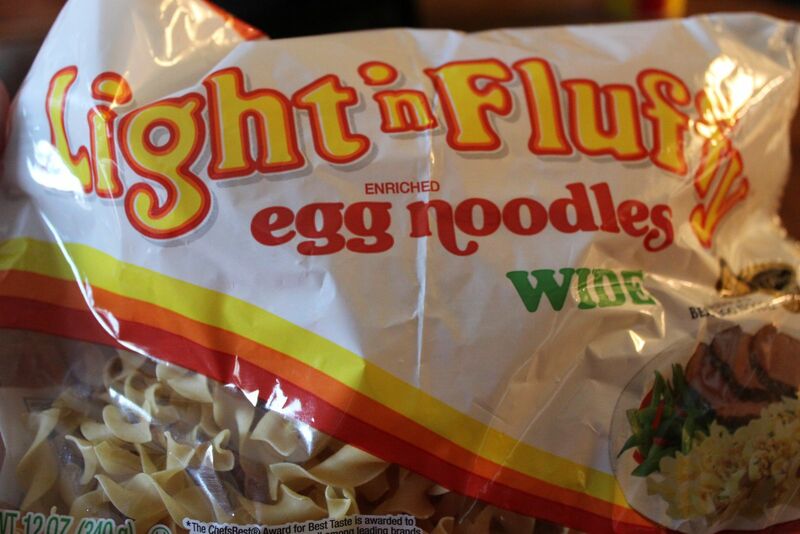 package of egg noodles. I only used about 8-oz. of it. I didn't want to add too many noodles. The noodles would absorb too much of the broth making it a stew instead of soup. 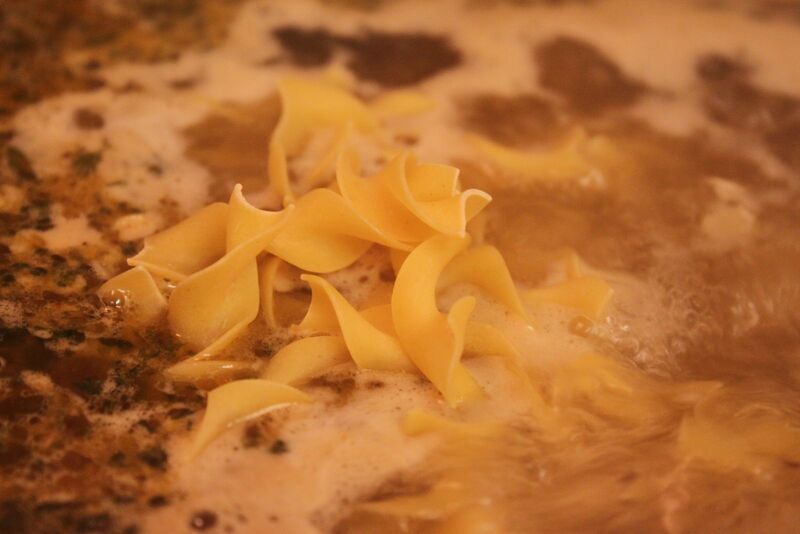 After the broth reaches a rapid boil, add the noodles and stir. Lower the heat to medium and let cook to desired doneness per package directions. I usually cook for about six minutes then turn off the heat. Add the finely sliced onions at the end of the cooking process. These onions are the ingredient that sends this soup over the top. I don't know about you, but I'm feeling better already.